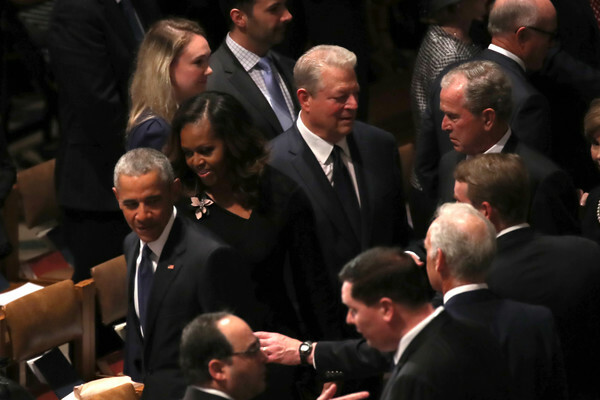 (L-R) Former U.S. President Barack Obama, Michelle Obama, former U.S. Vice President Al Gore, and former U.S. President George W. Bush arrive for the funeral service for U.S. Sen. John McCain at the National Cathedral on September 1, 2018 in Washington, DC. The late senator died August 25 at the age of 81 after a long battle with brain cancer. McCain will be buried at his final resting place at the U.S. Naval Academy.